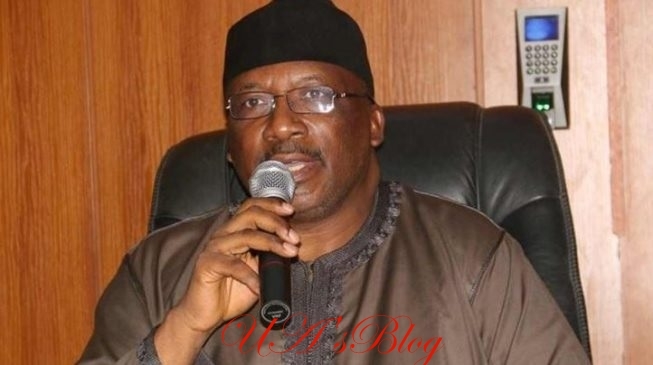 Minister of Interior, Abdulrahman Dambazau, has said the presidential candidate of the Peoples Democratic Party, PDP, Abubakar Atiku will suffer a ‘bloodied nose’ in the 2019 presidential election against President Muhammadu Buhari. Addressing journalists at the APC National Secretariat in Abuja on Sunday, Dambazau speaking through his Senior Special Assistant and former Chairman, House Committee on Security, Aliyu Gebi, stressed that while the President had used his position in and out of office to better the lives of people, Atiku had not impacted lives outside his immediate circle. He said, “In this race (2019), there is only one gladiator and that gladiator is the current President. So, there is no contender. (Atiku) by saying this is the toughest election in the history of Nigeria, yes toughest for him, certainly not for the President. “As far as I’m concerned, this will be the easiest election in the history of Nigeria as far as President Muhammadu Buhari and the APC are concerned; he (Atiku) will not even win Adamawa much less Taraba or Gombe and then come to Bauchi.